Born in Hertfordshire, England, of German-Austrian parentage, Peter Bronder studied at the Royal Academy of Music, London as well as at the National Opera Studio, before taking his first engagements at Glyndebourne and Welsh National Opera, where he was engaged as principal tenor. During this early phase of his career he sang many leading roles in the Italian lyric repertoire, including those in La Bohème, Tosca, La traviata, Rigoletto, Lucia di Lammermoor, Maria Stuarda, Don Pasquale, I Puritani, La Sonnambula and Barber of Seville; as well as Die Zauberflöte, Così fan tutte, Eugene Onegin, Die Fledermaus and Der Rosenkavalier (Italian Tenor). Later he developed into the more dramatic, predominantly German repertoire, whilst retaining the lyrical qualities necessary for the Mozartean roles of Idomeneo and Tito, which he has performed at Glyndebourne. Notable successes include Herodes Salome at La Scala Milan and Teatro Real Madrid, Loge Das Rheingold for Scottish Opera at the Edinburgh Festival and Stuttgart Opera, Erik Der Fliegende Holländer in Rouen and Paris, the notoriously demanding title role in Zemlinsky’s Der Zwerg in Frankfurt and Seville, as well as his American debut with the Cleveland Orchestra as Mime Siegfried. In 2005 he made his debut at the Metropolitan Opera, New York in Falstaff. 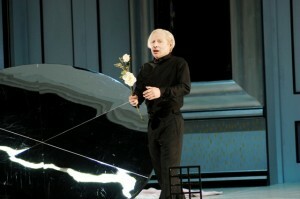 Apart from Glyndebourne, his work in Britain includes appearances with the Royal Opera House Covent Garden (Arturo Lucia di Lammermoor, Cassio Otello, Pedrillo Entführung, Andres Wozzeck, Sellem The Rake’s Progress, First Jew Salome, Trabuco Forza del Destino), English National Opera (Vanya Katya Kabanova, Almaviva Barber of Seville, Italian Tenor Der Rosenkavalier, Alfred Die Fledermaus, Jailor Il Prigioniero), Opera North (Prunier La Rondine, Hauptmann Wozzeck, Alexander Il re pastore) and Scottish Opera (Rodolfo La Bohème, Leicester Maria Stuarda, Loge Das Rheingold). He returned to guest at Welsh National Opera in Iphigénie en Tauride, as well as Peter Stein’s productions of Falstaff and Peter Grimes. Other important engagements abroad include Valzacchi Rosenkavalier for La Scala Milan and Teatro Real Madrid, Narraboth Salome and Mazal Mr. Broucek for the Bayerische Staatsoper Munich, Ernesto Don Pasquale at Netherlands Opera, Pedrillo Die Entführung aus dem Serail at La Monnaie Brussels and San Francisco Opera, Mime Siegfried for Flanders Opera and Bergen, Loge Das Rheingold in Stuttgart, Herodes Salome at Flanders Opera, Teatro Real Madrid, Teatro Regio Torino and Oper Frankfurt, Laca Jenůfa and Bajazet Tamerlano at the Komische Oper Berlin, Shuisky Boris Godunov at Teatro Regio Turin and Dr.Caius Falstaff at the Châtelet Paris. He recently sang the title role in Palestrina for Oper Frankfurt and Oper Zurich. 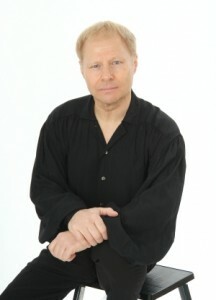 Peter Bronder has an extensive concert repertoire and has worked with Sir Richard Armstrong, Sir Andrew Davis, Sir Colin Davis, Christoph von Dohnanyi, Rafael Fruebeck de Burgos, Sir John Eliot Gardiner, Bernard Haitink, Richard Hickox, James Levine, Sir Charles Mackerras, Kent Negano, Sir Roger Norrington, Sir Antonio Pappano and Kirill Petrenko. Recent concerts appearances include Franz Schmidt’s Das Buch mit Sieben Siegeln, and Wagner’s Das Liebersverbot in Frankfurt conducted by Sebastian Weigle. Future plans include Mime Der Ring des Nibelungen conducted by Daniel Barenboim at La Scala Milan and Staatsoper Berlin, the title role in Rienzi in Frankfurt, Andrea Chénier at the Bregenz Festival, and has just performed the title role in Peter Grimes in Bielefeld.